British electronic punks The Prodigy are powering-up with a new album via their label Take Me To The Hospital, slated for release in early 2018. The forthcoming LP is the Prodigy’s first since since 2015’s The Day Is My Enemy, which hit No. 1 in the U.K. for their sixth tally-leader in their homeland, and will be the outfit’s first through a new deal with BMG. According to the music company, the first single from the as-yet untitled album will drop later this year, and will form “part of a sustained burst of activity” from the band through 2018 and beyond, which will presumably involve a world tour, single releases and music video rollouts. 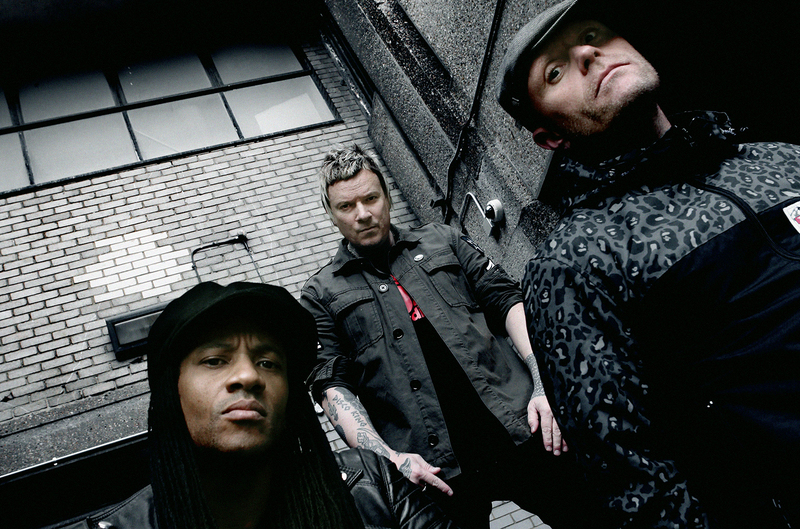 The BMG deal is a sort of family reunion for Prodigy founder and producer Liam Howlett, whose entire song catalogue is published by the company. “Very happy to be joining the BMG family for the next Prodigy album release under my 'Take Me To The Hospital' label, great guys who totally understand our band... Now let’s make some noise,” he said in a statement. The Prodigy, now a trio of Liam Howlett, Keith Flint and Maxim (dancer Leeroy Thornhill left in 2000) enjoyed commercial success in the U.K. right from the start. Their club classic "Charly" reached No. 3 on the national singles chart back in 1991, and its follow-up, "Everybody in the Place," also from the debut album The Prodigy Experience, went to No. 2 the next year. By the time their sophomore album Music for the Jilted Generation arrived in 1994, word had spread that the group's live show was the best in the business. The act arrived as a mainstream global force with 1997's Fat of the Land, which reached No. 1 in more than a dozen countries, including the U.S., and yielded a string of top ten hits, including the U.K. No. 1s "Firestarter" and "Breathe." The Day Is My Enemy opened at the summit of the U.K. albums chart in April 2015 and peaked at No. 127 on the Billboard 200 and No. 2 on Billboard's Top Dance/Electronic Albums survey. The trio took to social media last December to promise new music was coming in 2017. “The Prodigy are one of those bands who define an entire sound and can justifiably claim to be among the architects of contemporary music,” comments BMG U.K. executive VP Music Korda Marshall. “We are delighted to have the opportunity to release what will undoubtedly be one of the most important records of 2018."